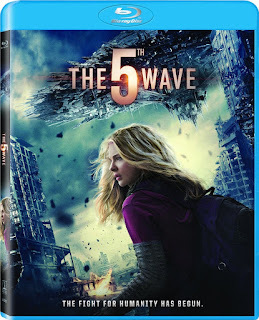 Chloë Grace Moretz made her second attempt at a YA novel adaptation earlier this year with The 5th Wave about four waves of increasingly deadly alien attacks that have left most of Earth decimated. I didn't have any interest in seeing where this Rick Yancey adaptation went and still don't, but if you love Yancey's series you might as well pick this up because its doubtful there will be any sequels. Another Nicholas Sparks movie and with it we get a declining caliber of cast and declining box office. While The Choice may not measure up in terms of money made to previous Sparks adaptations it certainly seems to be in large part because his stories are beginning to all run together. I've watched the previous two Sparks films and couldn't be bothered to ever watch them again and thus I couldn't be bothered to even look into his latest. 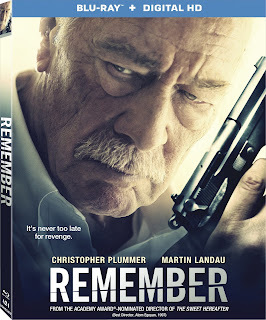 I'd originally planned to see director Atom Egoyan's Remember starring Christopher Plummer at last years Toronto Film Festival, but it didn't work out. I then was offered a screening link as the film was going to open in a limited run in my area, but it never did and thus I never received the link. And so, now that the film is arriving on home video I might actually get around to checking it out, but considering the many delays my excitement for the film has certainly waned and I'll likely end up waiting until it inevitably arrives on Netflix in a month.